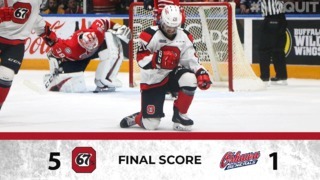 The Ottawa 67’s continue to build their roster ahead of the 2016-17 OHL season and on Tuesday, the hockey club selected Russian defenceman Andrei Golikov in the CHL Import Draft in the first round, 32nd overall. The 6’2 defenceman played his youth hockey with Dynamo Moskva – a hockey club that produced the likes of Alexander Ovechkin and Alex Galchenyuk – and spent the last two seasons with Yaroslavl Lokomotiv Junior. Golikov is the fourth defenceman that Brown has added in recent weeks after signing 2016 draft picks Peter Stratis, Carter Robertson and Kevin Bahl. 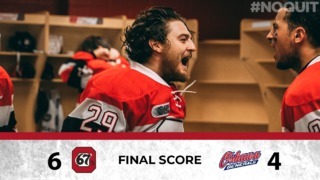 The 67’s unveiled their 68-game schedule last week. 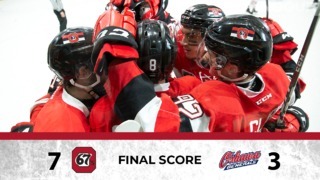 Click here for the complete 2016-17 Ottawa 67’s schedule.Ticket information on the 34-game home calendar will be released soon.